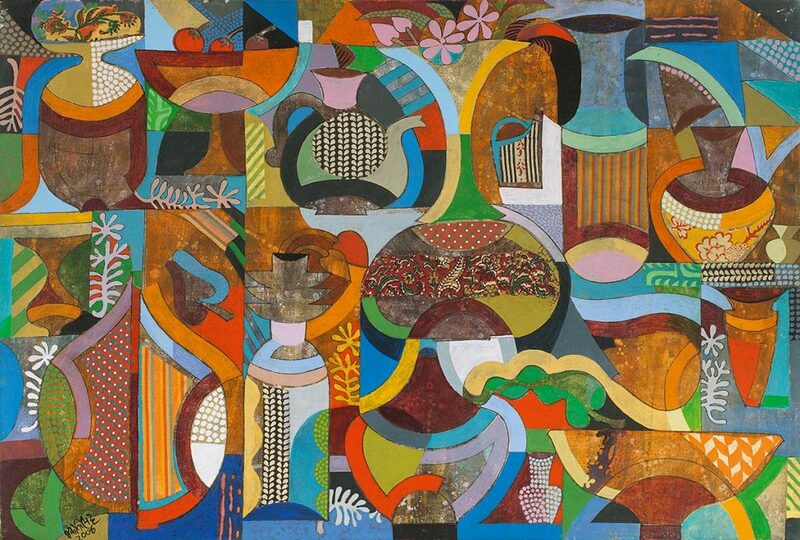 Born in 1934 in Bhavnagar, Gujarat, Jyoti Bhatt studied painting and printmaking at M. S. University in Baroda. 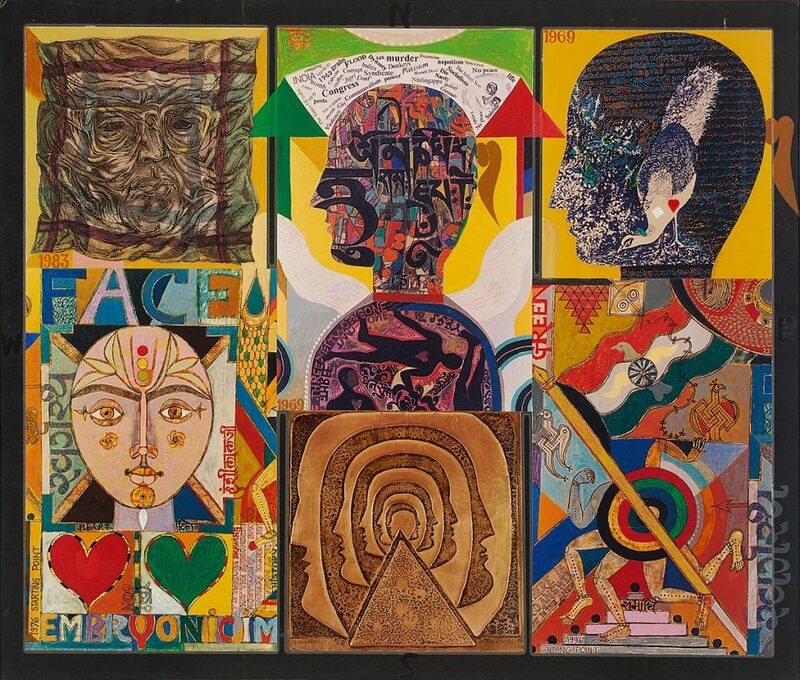 Inspired by his mentor, artist K. G. Subramanyan, Bhatt explored the academic divides between art and craft. His interest in fresco and mural painting techniques took him to Rajasthan. 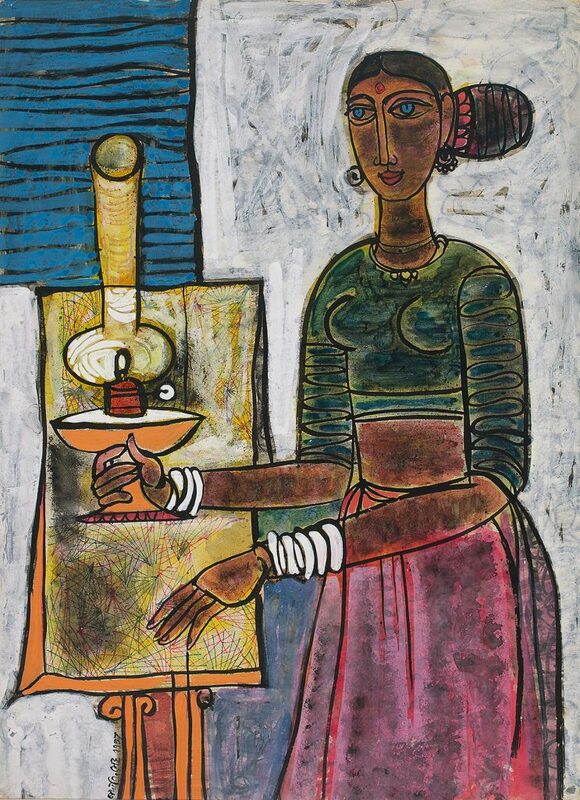 In the early Sixties, Bhatt received a scholarship to continue his studies at the Accademia de Belle Arti in Naples, Italy, as well as at the Pratt Institute in New York, where he was exposed to abstract expressionism. 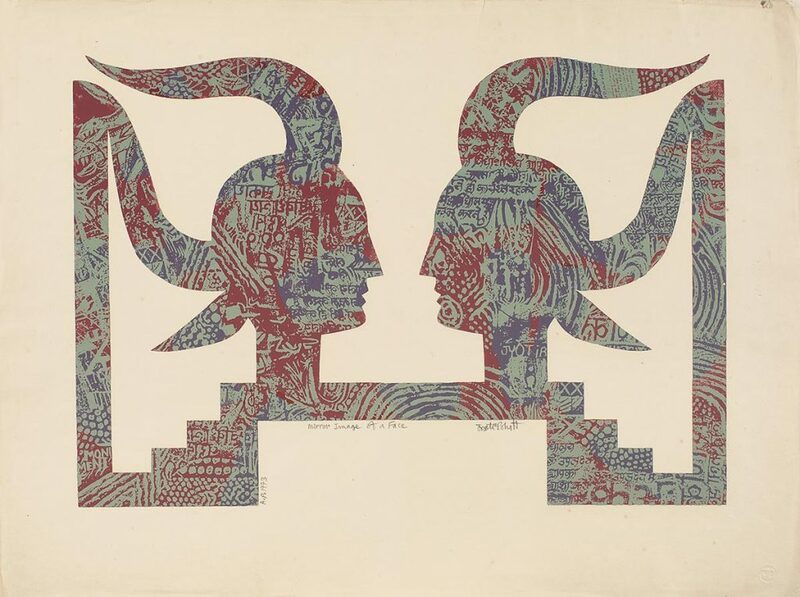 A keen experimenter, Bhatt’s early works reflected the cubist style, later shifting to pop-art imagery, to finally arrive at a style inspired by traditional folk designs. 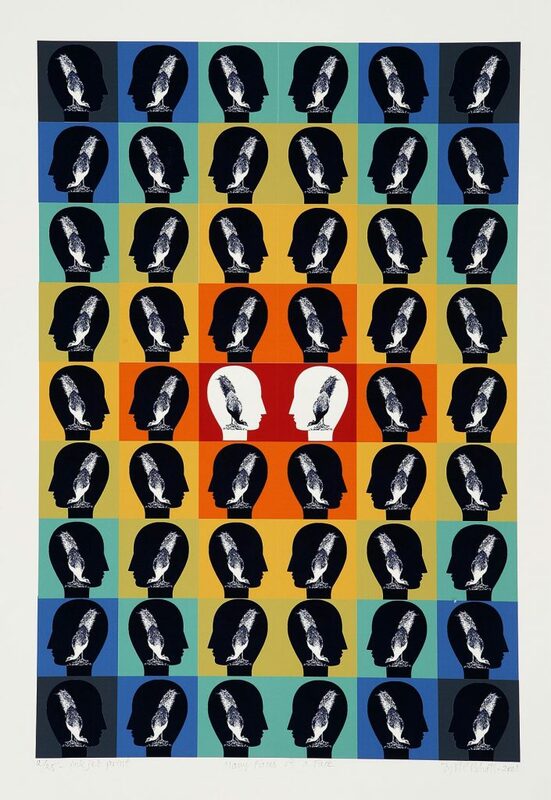 Though Bhatt worked in a variety of mediums including watercolours and oils, it is his printmaking that ultimately garnered him the most attention. In the late Sixties, Bhatt began his photo documentation of traditional Indian craft and design. 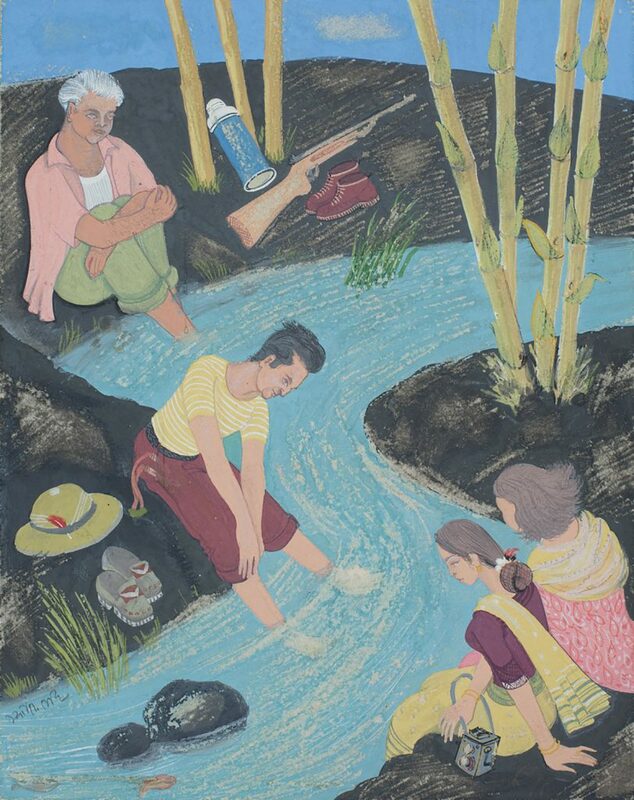 Though the first work was an assignment for a seminar on Gujarati folk art, it soon became one of the artist’s passions to document traditional craft and design work. Bhatt considers his documentary photographs to be an art form. His direct and simply composed photographs have become valued on their own merit. A founder member of the Baroda Group of Artists, he also joined the artistic initiative, Group 1890. 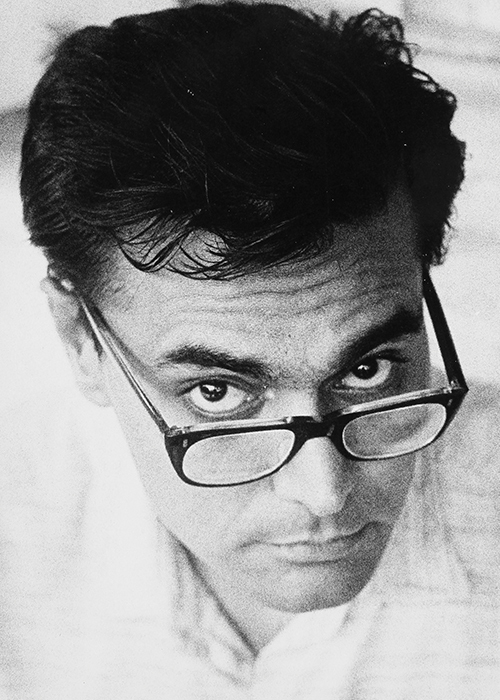 A recipient of national and international awards, Bhatt continues to experiment, innovating styles and techniques. He lives and works in Baroda.